The Italian verb segare means “to saw” (as in cutting wood). The success of this recipe relies heavily on cutting (sawing) the ingredients into equal-size pieces as well as using equal amounts of each. The ingredients should be sliced to the same thickness. Each mouthful results in equal bites of every flavor and texture. If you have good knife skills, by all means, use them, but an inexpensive Japanese mandolin slicer is a worthwhile piece of kitchen equipment and becomes especially useful when making segato. ON-DEMAND: Listen to Faith and Rolando discuss this recipe, as well as others from the book. 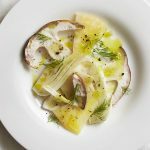 This recipe is Copyright © 2018 by Addie Gundry in Retro Recipes from the ‘50s and ‘60s and reprinted by permission of St. Martin’s Griffin. 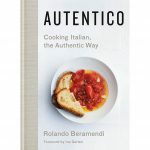 Excerpted from Autentico: Cooking Italian the Authentic Way by Rolando Beramendi. Published by St. Martin’s Griffin. Copyright © 2017 Rolando Beramendi. Photographs Copyright © Laurie Frankel. 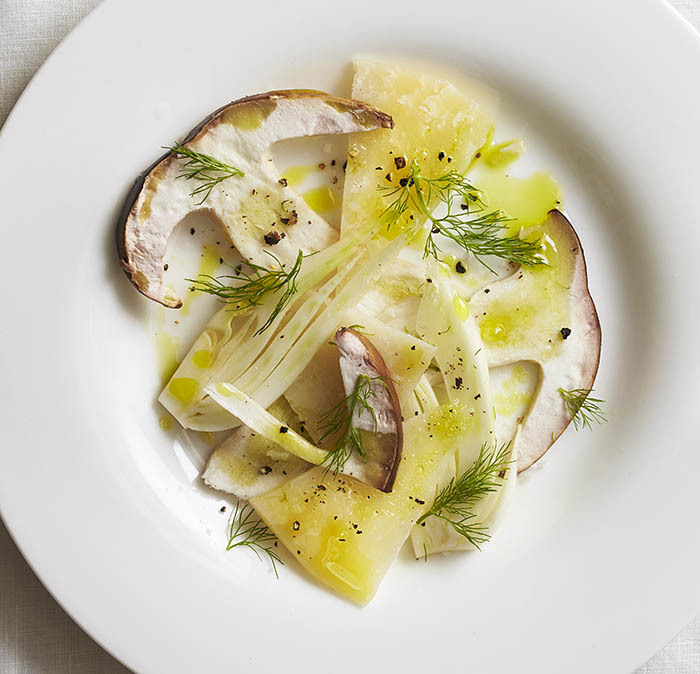 Arrange the sliced fennel, mushrooms, and pecorino on four plates. Drizzle each with olive oil and lemon juice and top with parsley and mint leaves. Season with salt and pepper just before serving. To Drink: Since fennel makes most wines taste the same, drink a simple, fruity red wine such as a Mona Nera Tenuta di Capezzana. Sounds great but I’m stumped by the dill in the picture – why no picture of Parsley and mint? The parsley and mint sound vibrant and delicious, the dill a little less so. Although it’s very pretty. Looks like the fennel fronds, not dill? YES. . .you’re totally right, Angie.